Alan James at WOMAD, by York Tillyer. So sad to learn we have lost Alan James. He has been a part of our lives and a key ally for more years than I can remember. 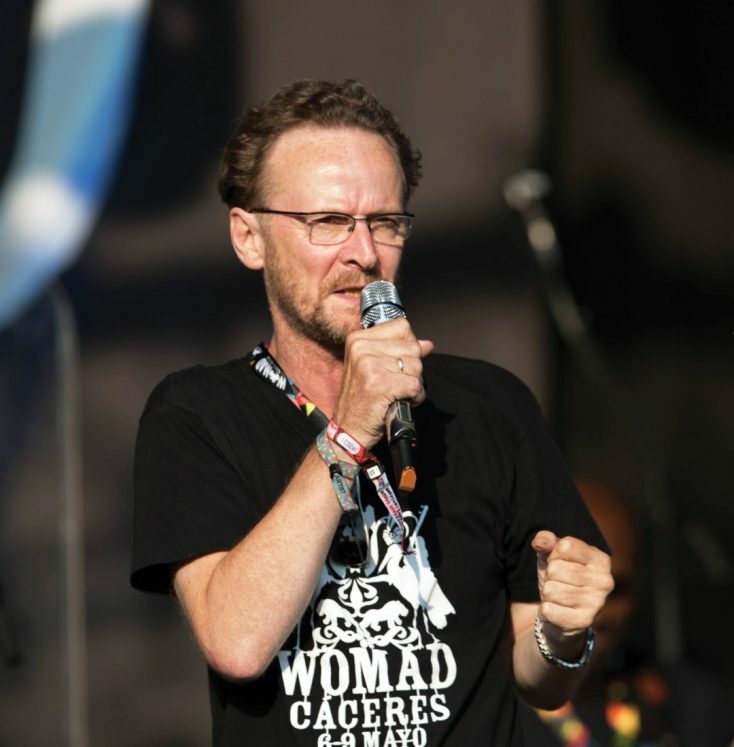 Since the early days of WOMAD he has been working with us, or alongside us, on the management, production or creative side of things. So many in the field of World, contemporary or Welsh music owe Alan a great debt for the endless lengths he would go to in order to promote music and artists he believed in. His intelligence, warmth and kindness were self-evident. We will always remember his passion for all the music he touched and all the love and support he showed for those that made it.